RAW HOLLYWOOD : NEW MUSIC: MAJOR LAZER FEAT. 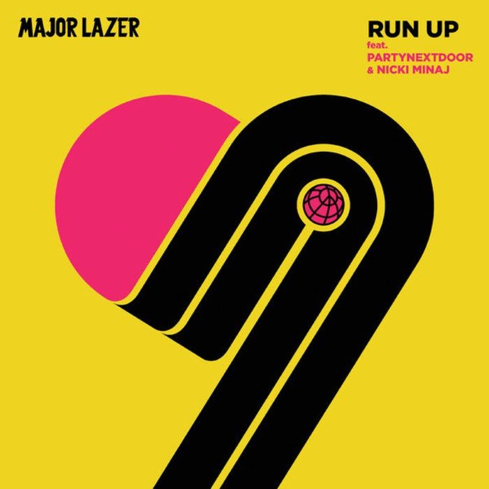 NICKI MINAJ & PARTYNEXTDOOR "RUN UP"
NEW MUSIC: MAJOR LAZER FEAT. NICKI MINAJ & PARTYNEXTDOOR "RUN UP"
Nicki Minaj is in the process of recording one of the most highly anticipated albums of 2017, but ahead of it's release she delivers a new collaboration. Major Lazer calls on the Trinidadian rapper for the new record "Run Up" that also features the sounds of PARTYNEXTDOOR. The island inspired track gives vibes that is only fitting for dance floors all over the world. The single is lifted from Major's soon to be released album Music Is The Weapon & a music video for the single has reportedly already been filmed.